HAVANA, Cuba.- (acn) The 2nd Summit of the Community of Latin American and Caribbean States, take place in Havana later this month, will be very positive for regional integration, said Cuban deputy foreign minister Abelardo Moreno. The Community promotes unity amid diversity and I’m convinced that the Summit will yield very positive results for Latin America and the Caribbean and for the common goal of strengthening Latin American integration as honor of the 200-year legacy of the independence heroes of our region, said Moreno. In statements to local television the government official said that the pro-tempore mandate of Cuba in the community met its objectives. He noted that Cuba focused on both political activity and the holding of different forums. Moreno referred to the CELAC education ministers’ forum in Havana last year, which particularly focused on the need to eradicate illiteracy in the region, as well as the meeting of culture ministers with the bloc, who defined the position of Latin America that culture is crucial for development. He also mentioned other ministerial meetings under the Cuban pro-tempore presidency, such as the forums of ministers of finance, the environment and energy. The latter one was very important since it looked at improving the energy systems of the countries of the region. On January 28 and 29, the heads of state and government of the community’s 33 member nations will meet in Havana. HAVANA, Cuba.- (acn) The heads of state and government who will take part at the 2nd Summit of the Community of Latin American and Caribbean States in Havana will begin arriving here on January 27. According to the event’s agenda, the inaugural session will take place in morning hours, January 28, at Pabexpo exhibit ground, which will host all activities of the summit. The regional meeting will focus on the problems currently pending on the region, such as hunger, poverty and social inequalities and at the same time it will consider strategies to deal with such realities. Prior to the summit, national experts and foreign ministers will hold their own gatherings January 25-27. Meanwhile, the first ladies attending the regional forum will meet an agenda that will include tours of places of social, cultural and scientific interest. They will visit the Immunological Assay Center, the Old Section of Havana, a school for autistic children and Cuban Arts Gallery at the Fine Arts Museum. The Community of Latin American and Caribbean States, CELAC, was set up in 2011 in Caracas. The bloc has been considered as the most important institutional event in the region. The first summit of the community took place in 2012 in Santiago de Chile, in which Cuba assumed the pro-tempore presidency, to be passed over to Costa Rica in the upcoming forum. HAVANA, Cuba.- (acn) Russian Foreign Minister Sergei Lavrov highlighted in Moscow today the importance of relations with Latin America and marked the weight of the Community of Latin American and Caribbean States (CELAC) as agglutination factor for the continent. Lavrov told Prensa Latina news agency that CELAC is the first universal organization in the region, which brings together all Latin American nations. We consider our relations with Latin America and the Caribbean important, and have done much in the practical and useful level in recent years, the head of Russian diplomacy explained in responding at the annual press conference with domestic and foreign media. He foresaw great prospects for Latin American integration which harmonizes the process of complementarity of all regional states. A necessary process for all Latin American countries, he said. We are interested in working in that format, bilaterally, but also with other regional multilateral structures, and I think it may be of interest to other members, Lavrov added. He evoked the visit to Moscow by his Cuban counterpart, Bruno Rodriguez, last May, occasion when consultations were very helpful, he stressed. Asked about the creation of a permanent consultation mechanism with the CELAC, Lavrov recalled that during the Troika meeting held in Moscow that initiative was analyzed. I hope that in the upcoming summit in Havana a decision is taken, and we start the work within that mechanism, the Minister said. Lavrov spoke also of the Russian ties with other regional organizations such as Unasur and the Southern Common Market, as endorsed Moscow's willingness to prepare a memorandum of interaction with the Central American Integration System (SICA). He characterized Latin America not only as an attractive region for foreign partners, but also a growing area with strong aspirations for independence, not very common today in international affairs, he said. Havana, Jan 21 (Prensa Latina) The International Commission taking place in London on March 7-8 will strengthen the call of the release for the Cuban antiterrorist fighters unjustly condemned in the United States, Belgian activist Katrien Demuynck said today. This is a meeting that due to its dimension and massive support not only of figures but also of great audience can be an important impact, although at the same time is an enormous challenge, said Demuynck, European coordinator of the campaign for the freedom of Gerardo Hernandez, Ramon Labañino, Antonio Guerrero, and Fernando Gonzalez. We start saying that they have spent 15 years of unjust imprisonment and we have the dissatisfaction we have done a lot in the world campaign, but it is not enough to achieve their release, she noted. Rene Gonzalez, condemned along with them, is already in Cuba, because he complied integrally with his prison sentence, the activist told Prensa Latina at a telephone conversation. The Commission will be led by a prestigious international jury, made up of, among others, Indian Supreme Court's former president Yogesh Kumar Sabharwal, South African Constitutional Court's former judge Zakeria Mohammed Yacoob, and Supreme Justice Court president in France, Philippe Texier. "The presence of distinguish U.S. writer Alice Walker, winner of Pulitzer award for her book "El color purpura" (The Color Purple), and former U.S. attorney general Ramsey Clark" have been also confirmed. Also on the list are Rene (Gonzalez), other relatives of the Five, as the group is internationally know, and witnesses from terrorism against Cuba, said Demuynck. She founded in Belgium the Cuba Socialista Initiative and the Che Presente Event. The International Commission of Inquiry will be divided in five sessions that will be held at the Law Society in London. The two first sessions will be dedicated to the activities of the Five in Miami, to prevent terrorist attacks against Cuba, and U.S. organized terrorism against the island." A third session "will deal with right, since the legal viewpoint, to defend the island against terrorism, while the fourth session will deepen in the trial: the violation of the right to a just trial, the presumption of innocence, the right to a biased and independent court, among other aspects." Organizing an International Commission of Inquiry "emerged from an exchange between lawyer Jan Fermon, leader of Progress Lawyers Network in Belgium and vice president of the International Association of Democratic Lawyers, and Olga Salanueva, spouse of Rene, in September 2012," she recalled. HAVANA, Cuba.- The International London Commission on the Cuban anti-terrorist fighters, who were given unfair prison sentences in the United States, will have a significant impact on the US administration in favor of their release, according to organizers of the event. The Commission, to take place March 7 and 8, will hear the testimonies by key witnesses from Cuba and other countries on the cause of Gerardo Hernández, Fernando González, Ramón Labañino, Antonio Guerrero and René González. They were arrested in 1998, in the US city of Miami, after they monitored violent organizations that planned terrorist actions against Cuba. Only Rene Gonzalez has returned to the island after he served his prison sentence and renounced his US citizenship. Gonzalez is expected to attend the Commission session to offer his testimony of the Cuban Five case, which was manipulated in biased Miami court that gave the Cubans extremely long sentences. The president of the UK-Cuba Solidarity Campaign Rob Miller said that the Commission will be attended by renowned world personalities, such as US writer and Pulitzer Laureate Alice Walker, actors Martin Sheen from the United States and Emma Thompson from the UK. Also on the list of guests is lawyer Martin Garbos, who has been part of the defense of the Cuban Five, along other lawyers from around the world who will make up the Commission that will hear the testimonies, such as the expresident of India’s Supreme Court Yogesh Kumar Sabharwal, ex-magistrate of South Africa’s Constitutional Court Zakeira Mohammed Yacob, and former president of the Supreme Court of France Phillippe Texier. For Miller, the Commission will be one of the most significant events in the long record of the Cuban Five case. He said that thanks to the support of many personalities from different countries, the conclusions of the commission will have a strong impact on President Barack Obama, who can use his constitutional powers to put an end to the injustice being committed against the Cubans. The commission will hold sessions at London’s Law Society on the initiative of the campaign known as Voices for the Five. As part of the event a music concert will be launched at the Barbican Hall in London with the participation of renowned Cuban singer Eliades Ochoa and other musicians form several countries. HAVANA, Cuba.- (acn) The International Committee for the Freedom of the Cuban Five announced in Washington the agenda of activities for the 3rd Solidarity Campaign with the anti-terrorist fighters, to take place June 4- 11. On June 7, a peaceful demonstration will take place in front of the White House to urge President Barack Obama to immediately release Gerardo Hernández, Ramón Labañino, Antonio Guerrero and Fernando González, who are serving unfair sentences in US Federal prisons. The campaign, known as Five Days for the Five, includes lectures and workshops on the case, lobbying actions at the US Congress, visits to media outlets, meetings with lawyers, intellectuals, religious and union leaders, as well as cultural events with the attendance of people from different parts of the world. The Committee recalled that major actions during the international campaign this year also includes the Investigation Commission on the case slated to take place March 7 and 8 in London. This commission will hear testimonies of 20 key witnesses from Cuba and other nations, including Rene Gonzalez, one of the Cuban Five, who is already back home after he served an unfair sentence in the United States. The Cuban Five, as the anti-terrorist fighters are known around the world were arrested and given unfair prison sentences in the U.S. after they monitored Miami-based violent organizations that planned terrorist actions against Cuba. In May 2005, a UN panel ruled that the arrest of the Cuban Five was arbitrary and it asked the US administration to put an end to the injustice committed against the anti-terrorist fighters. San Salvador, Jan 20 (Prensa Latina) Members of the Salvadorian Coordinating Committee of Solidarity with Cuba (CSSC) marched in caravan through important sites of this city demanding the immediate release of the Cuban antiterrorist fighters unjustly condemned in the United States since 1998. Examples of support and the demands for the immediate release of Gerardo Hernandez, Fernando Gonzalez, Antonio Guerrero, Ramon Labañino, who along with Rene Gonzalez are part of the group internationally known as the Cuban Five, started at the University of El Salvador, and were repeated in different areas of the Salvadorian capital. The caravan began its activities of protests at La Puerta del Diablo, a mountain range more than 1.30 meter high and from where the voice of the Salvadorians was heard asking freedom for the Cuban antiterrorists. Anthony Ernesto Hernandez, former guerrilla fighter of the Farabundo Marti National Liberation Front (FMLN), talked the demonstrators at the top of the hill, where the solidarity with the Cuban people and especially with the cause of Gerardo, Fernando, Antonio, Ramon and Rene was reaffirmed. The caravan continued its march towards the entrance of the U.S. embassy in San Salvador, where Raul Martinez, on behalf of the CSSC, sent a message to the President of that northern nation, Barack Obama. Pinar del Río, Cuba, Jan 21 (Prensa Latina) Two German sailing ships carrying students and professors will arrive at Cuba's westernmost province next February and March, as part of their exploratory journey across several nations, organizers announced today. The ship Thor Heyerdahl will arrive on February 2 at the Diving Center María La Gorda, where members of the expedition will start a 200 km tour on bikes until they reach the city, Yuliet Morejón from the Cuban Institute of Friendship with the Peoples told Prensa Latina. Then they will visit the Vocational Exact Sciences School Federico Engels to participate in sports and artistic activities, as well as to receive history, geography and typical Cuban dances lessons. The sailors will also visit Viñales, a farmers cooperative and will learn about tobacco growing in Pinar del Río. The High Seas High School project has combined traditional school lessons and seafaring tasks for more than 20 years and has welcomed around 20 thousand teenagers and young adults. The sailing ship comes to Cuba every year with about 30 students interested in knowing about foreign countries and different cultures. Cienfuegos, Cuba, Jan 21 (Prensa Latina) The Cuban-Venezuelan oil refining firm Cuvenpetrol S.A. operating in this south-central Cuban city since 2007 will begin production today corresponding to the current year, local media are reporting. After completing last week what experts called a 50 day opportunistic stop, after the planned refining of 19.7 million barrels of oil for 2013 was completed, the plant is prepared to begin producing slightly more than 18 million barrels by December. Executives for the bi-national company stated that this year's objectives include decreasing the maximum loss levels at the factory, getting better performance from the so-called clear products, as well as reducing consumption of electricity, water, chemical reagents, oils, and lubricants. Tokyo.- The 26th Congress of the Japanese Communist Party (JCP) described as illegal and prolonged the more than 50 year U.S blockade on Cuba, saying that measure has prevented that country to reach a greater development. The four-day meeting taking place in the coast city of Atami, some 100 kilometers of this capital, includes the participation of 850 delegates from all parts of the world, who will elect the new leadership of the organization. In the resolution of the 26th JCP Congress' central report, presented by its President Kazuo Shii, the Japanese Communists condemned these U.S. punitive measures against Cuba, and praised the creation of the Community of Latin American and Caribbean States (CELAC). About this matter, Shii said this organization contribute to an international order of peace, based on the principles included in the UN Charter, such as mutual respect, international right, sovereignty, pluralism, the States' equality. The CELAC supports the struggle to renounce the use of force and promote social inclusion, solidarity, and integration. The report deals with the battle for a world free of nuclear weapons, the struggle for a just international economic order, the concern about the global warming, and the persistence of the U.S. military hegemony. HAVANA, Cuba, Jan 20 (acn) The 33rd Sundance Independent Movie Festival, held in Lake City, the United States, premiered a film that reveals the abuses committed against the prisoners held at the prison camp set up at the US Naval Based in Guantanamo, a US-occupied Cuban territory. Entitled Camp X-Rey the film is impressing and updated, said Kristen Stewart, an actress who interprets army soldier Amy Cole. She noted that the movie mirrors the cruelty and humiliation to which the alleged suspects of terrorism are submitted at the prison camp. The film features innocent prisoners, such as Ali Amir, interpreted by Peyman Moadi, and the new generation of women soldiers, a role played by Stewart as a guard meeting its service at the prison. Movie maker Peter Sattler said that the screenplay of his first film was inspired in a documentary in which a guard and a prisoner talked about some books. Sattler worked as graphic designer in films such as Star Trek, and he also directed a short length film entitled Newton. Chile, Argentina and Colombia are representing Latin America at the Sundance Film Festival, which was founded by renowned US director and actor Robert Redford. The event is showing a total of 117 movies till January 26. Havana.- (Prensa Latina) Cuba makes progresses today in delivering idle lands in usufruct with the granting since 2008 of more than 1,580,000 hectares and the updating of the legislation referring to the issue, as part of the improvement of the economic model. Within the bounds of this process, the Cuban legislation allowed to increase until 67.10 hectares (five acres) the area granted to individuals who were the owners and/or usufructuaries of land, had them in full production and complied with legal and contractual obligations. As a requirement, the island also established that those lands should be linked to state farms with legal status, Basic Units of Cooperative Production (UBPC), and Agricultural Production Cooperatives (CPA). The possibility to expand the areas to individuals, possessing land in property or usufruct linked to Credit Union Services (CCS), is excluded from that law. As of such decrees, the country also allows the expansion of lands until 67.10 hectares to individuals linked to the CCS. HAVANA, Cuba.- (acn) Cuba has developed system of special schools for the past 52 years to support families with children requiring particular education programs. At present, the island counts on 400 special schools, whose total registration includes 40 thousand students. Nearly 16 thousand professionals are in charge of the education of the children, as they take specialized training to meet the educational meets of the kids and help those who get the necessary skills join general education. Some make it, some do not, it all depends on the degree of difficulties the children have and their abilities to depend on themselves. The schools include mentally retarded students and others psychic development problems, autism, language difficulties, the visually impaired and the blind, the hearing impaired and the deaf, and other physical and limitations. In the case of students with conditions that limit them from attending special schools, traveling professionals are in charge of giving them the lessons at home. HAVANA, Cuba, (acn) A new website called Kamala, was created in order to promote the culture and literature of India, and its presence in Cuba. Sponsored by the Asia House, the website can be found at http://www.kamala.comlu.com/ and contains sections dedicated to science, cooking, religion and tours through the Asian nation, among other sections. In its editorial, Kamala-Sanskrit for lotus flower, promises to address the relations between the two peoples and comment on places of interest in Havana relevant to this ancient culture. Let's talk about India, from North to South, from East to West, as a whole, of its past, present and future, in its form and in its language, the site publishes. The portal will be presented on the 28th as part of the celebrations on the island for the 64 anniversary of the establishment of the Republic of India, which includes a day of festivities, which will run from the 23th to the 30th of this month. HAVANA, Cuba.- The signing of an agreement between the universities of the Mexican state of Campeche and Havana, Cuba , aims to develop academic plans and joint research in the disciplines and topics of mutual interest. According to a press release from the Cuban Embassy in Mexico, the territorial governor, Fernando Ortega, said during the ceremony that the relationship between Campeche and Cuban has always been framed by the bonds of affection, solidarity, cooperation, cordiality and friendship. The document endorsed by the two schools also provides for the exchange of specialists and graduate students to develop programs, conferences and studies, among others, reported Prensa Latina news agency. For his part, the rector of the University of Havana Gustavo Cobreiro said that the relationship with the Mexican university from today acquire new impetus , for bridges that have been established will advance with the support of teachers , students and governments. Prior to the signing of the text between the two institutions, the governor laid a wreath at the bust of José Martí on the waterfront promenade in the city of Campeche, in the presence of members of the Cuban community. HAVANA, Cuba.- (acn) Cuba will take part in the 34th edition of FITUR 2014, the International Tourism Fair to be held in Madrid, Spain, on January 22-26, with the purpose of strengthening bonds with tour operators and travel agents from that European nation, one of the main markets sending travelers to the Caribbean island. The Cuban delegation will present new features nationally and the work carried out to develop hotels, the review of standards and the constant adjustment to international tendencies, points out the Communication Department of the Tourism Ministry (MINTUR). In addition, it will promote the richness and variety of the Cuban tourist product, with emphasis in the modality of sun and beaches and also nature and adventure. Visitors to the Fair will have the possibility to update themselves on the tourism potential of Havana, Varadero, the country’s cays, Holguin and Santiago de Cuba, main regions of interest for the Spanish market, highlights the press release. Headed by the MINTUR, the Cuban mission is composed of the hotel chains Gran Caribe, Islazul, Cubanacan, Gaviota, Barcelo, Iberostar, Roc Hoteles, Blue Diamod, HUSA, Habaguanex, Accor, Grupo Pestana Cayo Coco and Occidental; and the Cubatur and Gaviotatours receptive agencies. Washington, Jan 3 (Prensa Latina) The International Committee for the release of the Cuban antiterrorists imprisoned in United States called internet users from all over the world to publish the messages on Sunday on Twitter social network, demanding the release of those men. #Obamaliberalos5ya! #ObamaFreetheFiveNow! ; #ObamaGivemeFive and #ObamaGestoHumanitarioxlos5! And Hill be the first global initiative of 2014 in solidarity with Gerardo Hernández, Ramón Labañino, Antonio Guerrero and Fernando González. Those men and their fellowcountryman René Gonzalez, already released, were arrested in September, 1998, while monitoring the actions from violent groups in the South of Florida, from where they were planning actions like those that in the last 53 years killed more than 4,400 people in Cuba. René González was released in October, 2011, after serving his sentence and returned to his country last May where he resigned to his US citizenship, to end an additional punishment of three years under supervised release. The Committee called the international community, too to get in contact with the White House by telephone, fax, or sending e-mails and post cards to put pressure on President Barack Obama to release the Cuban fighters and allow them to return to their mother land. Last Year twitter action joined the voices of thousand of people, political parties, media and social organizations from Brazil, Colombia, Spain, Bolivia, Germany and Venezuela, among others. Many comments insisted on the fact that if Obama wanted, the antiterrorists would be free and could return home. Others urged US president to honour at least once the Nobel Peace Prize he obtained and put end to the enclosure and the violations of human rights of those men. Managua, Dec 31 (Prensa Latina) The Cuban Revolution showed that it is possible to build a just society with advanced social, cultural and human improvements in the Third World, said today the president of the Nicaraguan Solidarity with Cuba, Fredy Franco. Cuba managed to make true the Socialist system at 90 miles of the strongest empire in the contemporary era, defeated military aggressions and still faces, stoic and dignified, the criminal blockade which is still in force, and it is increasingly condemned by most of the nations in the world, he added. This hostile policy has generated, together with natural phenomena, most of the socio-economic difficulties that the Cuban people have faced, also said the researcher in the field of social sciences and professor at the National Autonomous University of Managua. This January 1st, 2014, the heroic and dignified Cuban Revolution celebrates 55 years, beginning with the popular victory against Batista’s dictatorship, advancing against adversity caused by the policy of the United States and consolidating its strong social and national ties, he said. Although it was preceded by other revolutions like Mexican (1910), Guatemalan (1944) and Bolivian (1952), the process on the Caribbean island is the first with socialist character in America and the backbone of the changes in Latin America, he added. Franco added that the Cuban revolution built an independent and dignified country with determination and true popular participation, a system and human beings immensely human who have shared what they have with many people of the world, even their own lives. Nicaragua is a beneficiary of the vast Cuban solidarity in different historical moments, which is consolidated in this second stage of the Sandinista revolution and in the Bolivarian Alliance for the Peoples of Our America (ALBA), which contributes to solving major emergencies of our people, he said Franco. Havana, Jan 2 (Prensa Latina) Cuba reached a record low in infant and maternal mortality rates in 2013, according to official figures released today by Granma newspaper. Regarding infant mortality, Cuba recorded a rate of 4.2 per thousand live births, and eight provinces were below the national rate. Such territories are Sancti Spiritus and Granma, both with 3.2, Holguin (3.3), Havana and Ciego de Ávila (3.4), Pinar del Rio and Villa Clara (3.9) and Las Tunas (4.0), reported the journal, adding that the municipality of Isla de la Juventud had 2.0. Of the country's 168 municipalities, 22 had no child dead. Granma explained that the main causes of the death of children under one year old are mainly perinatal conditions, congenital abnormalities and infections. This time 45 children less than in 2012 died from congenital malformations, which keeps Cuba among the countries with the lowest infant mortality from this cause. According to preliminary data provided by the National Board of Medical Records and Statistics of the Ministry of Public Health, last year there were 125,830 births, 156 more than in 2012. Granma newspaper said that Cuba also strengthens the results of the program aimed at reducing complications and maternal deaths, reporting only 26 deaths directly related to pregnancy, childbirth and postpartum. In this regard, Cuba achieved a direct maternal mortality rate of 20.7 per 100,000 live births, the lowest in the country’s history. HAVANA, Cuba, Jan 3 (acn) Hati's ambassador to Havana Jean Victor Généus said that Cuba, as pro-tempore chair of the Community of Latin American and Caribbean States, has taken all possible initiatives to provide the regional organization with the necessary dynamics and dimension towards its advancement. In statements to the Cuban news agency, Généus said that the world will closely follow the forthcoming Summit of the 33-member bloc, to be held in January here. Under Cuba's presidency, the Community established relations with the BRICS group of countries, which includes Brazil, Russia, India, China and South Africa. Cuba is the door to this region and the bridge between the Caribbean and Latin America, said the Haitian official, who explained that the island has been the chair of the organization as part of a troika that also includes Chile and Costa Rica. The ambassador said that Cuba and Venezuela are leading nations in the regional organization, which must be paid tribute to as he highlighted the contribution made by late Bolivarian leader Hugo Chavez and by Cuban historic leader Fidel Castro. The two governments gave the thrust towards reconquest of Latin American and Caribbean sovereignty and dignity. The upcoming summit in Havana will deepen in the search for solutions to problems in the fields of education, health, the environment and to the reduction of social inequalities, which are topics that count on the consensus for joint work, he said. SANTIAGO, Cuba, Jan 3 (acn) Children and youths from eastern Santiago de Cuba kicked off a symbolic tour of the Liberty Caravan, which, in early January 1959, began a march westwards to Havana celebrating the defeat of the bloody US-supported Batista dictatorship by the Rebel Army led by Fidel Castro. This new rendition of the Liberty Caravan began at Santiago de Cuba’s Santa Ifigenia cemetery, at the mausoleum of Jose Marti, where the marchers placed a wreath honoring Cuba´s National Hero. The caravanistas marched on to that Eastern Cuban city´s Revolution Square, where they placed another wreath at the statue of General Antonio Maceo, one of the heroes of Cuba’s independence war from Spain. Some three hundred Santiago de Cuba youths received on this occasion the document that certifies their membership in the Young Communist Union, an honor they won because of their excellence in school and-or work centers. The future of the Revolution is in your hands and attitudes, said a speaker at the presentation ceremony. Diane Alfonso, a ninth grade students at a Santiago de Cuba high school, spoke in the name of the new Young Communist Union members to thank the honor conferred on them. She said they will not fail the Cuban Revolution. The Liberty Caravan will carry the Cuban Flag westwards from Santiago de Cuba up to Jiguaní, in the province of Granma, where a local group of distinguished local youngsters will take over. The groups will be successfully replaced in their march to Havana. As they advance towards the Cuban capital, the marchers are greeted by the local population, in a repetition of the 1959 March by the Rebel Army led by Fidel Castro. Havana.- Antonio Guerrero thanked the massive expressions of solidarity with the Cuban anti-terrorists, who like him, remain prisoners in the United States since 1998 for monitoring the actions of extremist groups against the island. In a message posted today on Cubadebate website, Guerrero, currently imprisoned at the Federal Correctional Institution, Marianna (FCI Marianna) Florida, United States, expressed his gratitude to the many letters of support and other gestures of solidarity in favour of their freedom. I dare say that any inmate has ever received the amount of letters we have from all over the world. Letters full of brotherhood and love, said Guerrero in his message. These expressions of solidarity have not stopped nor have decreased since 2001 when our situation was unveiled our people and to the world. We know this huge wave of solidarity will only stop when The Five return home, he added. Guerrero along with Gerardo Hernández, Ramón Labañino, Fernando González and René González was imprisoned for 15 years and sentenced to long prison terms by the US authorities. Currently, only René González, one of The Five (as they are internationally known), is in Cuba after complying with his sentence and renouncing to his US citizenship. Havana.- (Prensa Latina) More than 3,100 Cuban educational centers were restored in 2013, as part of current works by authorities from the sector to maintain and rehabilitate the country''s educational infrastructure. According to Education Minister Ena Elsa Velazquez, this number almost doubles the 1,900 teaching centers included in the renovation plan. During a visit to the province of Cienfuegos, in central Cuba, Velazquez said that several polytechnic schools were renovated and have the necessary resources now, a reason why graduates must be better prepared, she said. Although the work done is not enough, because we still have several schools that need renovation or some kind of maintenance, we intend to improve all centers gradually, she said. In that reference, she highlighted the work in Cienfuegos and in the eastern province Las Tunas, territories that stand out as regions of great activity regarding renovation of day-care centers, elementary schools and high schools. She added that other Cuban provinces such as Pinar del Rio, Granma and Camagüey started complex renovation works in classrooms, workshops, administrative buildings and common spaces. Havana.- (Prensa Latina) The number of foreign visitors to Cuba in November was 234,266, more than October''s 167,977, the National Office of Statistics reported today. From January to November, a total of 2,546,851 foreign tourists visited Cuba, the office (ONEI) reported. Canada, accounting for 38.9 percent of foreign tourists, was the number one issuing country, followed by the United Kingdom, Germany, France, and Argentina. According to Ministry of Tourism officials, the year should end with a total figures similar to that of 2012 (2.8 million), falling short of the expected total of three million. Reasons for the shortfall include the situation of source markets due to the current global crisis and mechanisms that are under review so that the industry will pick up again in the 2014-2015 period, officials said. Positive factors included a larger number of flights, improved services, and investment. Cuba has some 61,000 hotel rooms, 65 percent of which are in four and five-star facilities. Havana.- (Prensa Latina) The National Ballet of Cuba (BNC) presented a program similar to the one performed in its debut on stage in 1948 to commemorate 65 years of established. The main figures of this company tried to offer in the best conditions the Grand pas de quatre, a work in which four dancers represent the glory of the divas of the nineteenth century, with their respective characteristics. This is one of the beloved pieces for ballet lovers representing elegance, taste, style and romantic because it is reminiscent of four of the greatest dancers in the history of art in Cuba: Josefina Méndez, Loipa Araújo, Aurora Bosch and Mirta Pla, labelled by the critics as jewelry. Cuban ballet school right now does not have such a strong and versatile generation, but some artists deserve recognition as Viengsay Valdés, the most complete of all personalities, undisputed queen of technical expertise and theater. The Cuban public reaffirmed his appreciation for The Swan Lake, the famous piece of classicism, whose second act ended the program the first function of BNC, as it closed the presentation yesterday at the National Theatre. With this gala, the BNC concluded its cycle of performances in 2013, but will not cool the stage. For the upcoming January 1 and in the same theater it will dance Nutcracker in honor to the 55th anniversary tribute to the triumph of the Cuban Revolution. HAVANA, Cuba, Dec 21 (acn) Fernando Gonzalez, one of the four anti-terrorist fighters still held in US prisons since 1998 thanked the support and solidarity actions by Spanish citizens, who demand their release from prison. In a letter addressed to the Catalonian Defensem Cuba solidarity group, Gonzalez said that despite the difficult economic situation of most Spaniards, the supportive groups dedicate their time, resources and energy to expressed their support of the cause of the Cuban anti-terrorists. Despite all that, you express your sense of solidarity with great commitment, said Gonzalez in his letter. HAVANA, Cuba.- (acn) The first stage of the container terminal at the Mariel Special Development Zone, west of Havana, will be inaugurated in January. The announcement was made by President Raul Castro as he closed the second session of the Cuban Parliament’s Eight Legislature on Saturday. Raul Castro described the new project as very attractive for foreign investors and a lab to consider the application of new technologies and entrepreneurial management methods. The Mariel special development zone is parat of the policies and programs adopted by the Cuban Communist Party to update the country’s economic model. HAVANA, Cuba.- (acn) Foreing yachts cruising near Cuba, which would like to moor at any Cuban marina may do so by just filling out a form available on Cuban web sites. The requests may be filled at the Cubatravel.cu and Gaviota.cu websites, according to the Cuban Tourism Ministry, explained that once a yacht owner registers at any of the websites and receives authorization to dock his boat, he is authorized to visit other marinas on the Island without any further authorization. The marinas offer fuel and repair services, as well as stores to replenish food and drink stocks in the boats. In order to ease procedures for foreign boats dispatch at Cuban marinas, the Cuban Council of Ministers adopted a Decree last October which rules the management of maritime and harbor services in these facilities. HAVANA, Cuba, Dec 23 (acn)The number of arrivals of cruise ships at Cuban ports is expected to surpass the figure reported in previous years, said an executive in the specialized tourist sector. Norberto Perez, general director of the Aries Transport Company, in charge of commercializing cruise ships operations in Cuba, told reporters that a new company named Cuba Cruises will manage arrivals here of cruise ships, such as Canada’s Louis Cristal, which called at the south-central harbor of Cienfuegos on Saturday. Perez said that 10 cruise ships will call at Cuban ports during the current high tourist season, including the luxurious Europa, the Albatross and the Thompson Dreams, which is the largest of all, with capacity for 785 passengers. The Thompson Dreams visited Havana harbor on December 6. The international tourist modality is affected in Cuba by the US economic, commercial and financial blockade of Cuba, which bans American citizens from visiting the island, the executive said. HAVANA, Cuba.- The Brazilian newspaper A Gazeta, published in the state of Espíritu Santo, stressed the outstanding job being performed by Cuban doctors in that area in the assistance of victims of torrential rains that have already caused over thirty deaths and scores of wounded. Eleven Cuban doctors are working the area where there were no Brazilian physicians. The newspaper quoted doctor Orlando Maure as sayhng: “The local population needs help and it is our duty to help them”. In the locality where doctor Maure is working, not less than fifteen thousand persons abandoned their homes and looked for shelter in higher ground after the torrential rains caused extensive flooding due to the overflowing of local rivers. According to A Gazeta, over two hundred thousand inhabitants of that Brazilian area have been affected by the torrential rains. HAVANA, Cuba.- (acn) Belarus'Health minister Vasily Sharko confirmed his country's will to expand cooperation with Cuba’s biotechnological and pharmaceutical industries. During a meeting in the capital Minsk Cuban Ambassador Gerardo Suarez, the Belarusian official reviewed current cooperation schemes in both fields and agreed on the need to increase their scope, since they are considered as vital to medical services. The top government official of that European country, a former member of the extinct Soviet Union, was accompanied by businessmen and officials in the public health sector. The meeting was held in a very friendly atmosphere, the Cuban Ambassador told the Belarusian press. HAVANA, Cuba.- (acn) The defense of legitimate cultural values will the central subject at discussions during the forthcoming Congress of the Cuban Association of Writers and Artists, to be held April 12 and 13 next year. Association president Miguel Barnet said that the Congress will consider efforts to recover traditions and values that have deteriorated in recent years, such as the Carnivals, a popular feast that has lost much of its original cultural splendor. In an interview with national television, Barnet, a poet and novelist himself, said that aesthetic values of the Carnival must be recovered as a means of public education. Carlos Tamayo, the provincial chairman of the association in the eastern province of Las Tunas, said some foreign cultural influences lacking true artistic values have had a negative effect in the country. Music and dance groups from neighborhoods –he said-- must recover their splendor and compete, as they did before, for prices awarded by popular juries at the city carnivals traditionally held in all Cuba. HAVANA, Cuba.- (acn). Twelve new cooperatives will soon start operations in the raw-material collection activity for recycling, a step that experts say will significantly help increase the output of certain products and contribute to environmental protection. This strategy is included in the economic guidelines approved by the Cuban Communist Party as part of the ongoing update of the Cuban economic model. With this regard, experiences in the two provinces have had excellent results and have prooven that they may be extended to other territories, a spokesman said. The two cooperatives involved in the experiment increased their sales, with cooperative members witnessing a 25 percent growth of their profits. Recycling is good business, the spokesman noted: the cooperatives make money and the environment is kept clean. HAVANA, Cuba.- (acn) At least thirty percent of the sugar cane to be processed during the current sugar harvest is to be supplied by private farmers, marking an increasing participation of that productive sector in this economic field vital to Cuba’s economy. The Chairman of the National Association of Small Farmers, Felix González, said that a leading pack of private sugar cane growers feeding sugar mills is grouped in 304 cooperatives noted for their high yields. HAVANA, Cuba.- The first line of Cuban Cigars known as Great Reserve Lusitania, a special production aimed at cigar connosseurs around the World, was presented in Havana by the world famous Partagas Brand. The cigars are hand rolled by veteran experts in environmentally controlled conditions, based on first grade leafs cultivated in selected Pinar del Rio plantations, in Western Cuba. The Partagas cigar factory was founded in Havana in 1845 and is one of the best producers in the world, offering cigar smokers unique products that satisfy the most demanding palates. The Lusitanias, as the new cigars are known, are one hundred and ninety four millimeters long by 49 milimeters gross. Havana, Dec 19 (Prensa Latina) President Raul Castro highlighted the need to draw up a long-term rational plan to increase the quality of higher education, during the most recent session of the island''s Council of Ministers. That body, chaired by the Cuban head of State, certified the implementation of a policy of assurance of human resources, and the infrastructure required for improving education, Granma newspaper reported today. The first stage of the approved leadership is aimed at stopping the deterioration of schools and, at mid term, the deficit of the technical staff. Boosting exports, raising external financial resources such as complement of the government's subjects, and contracting retired teachers with beneficial wages to encourage their permanence at schools, are also on the list. The higher education system in Cuba is made up of 67 institutions, with more than 250,000 students, as well as 120 centers for research, science, innovation, and technology, distributed along the country. Havana, Dec 19 (Prensa Latina) President Raul Castro stated that the violations against the country''s economy cannot remain unpunished, on occasion of the damages to the island in foreign trade, an issue recently debated by the Council of Ministers. Raul Castro highlighted the need to be exigent with those who cause damages, either through negligence or ignorance, Granma newspaper stated. During the Council's session held yesterday, Rodrigo Malmierca, Minister for Foreign Trade and Foreign Investment, talked about the damages irregularities in foreign trade operation have caused to the country in 2013 second half. He announced, among them, the wrong selection of suppliers, protracted contracting processes, poor handling of products, transportation problems, and labor indisciplines. Measures to face and reduce damages were taken during the period, but implementing them systematic and rigorously is still required, Malmierca concluded. HAVANA, Cuba, Dec 19 (acn) The Cuban Council of Ministers adopted a group of new policies to improve the performance of different sectors, such as education, health and foreign trade. During the session, the President of the Councils of State and Ministers Raul Castro stressed the need to keep enforcing institutional order to keep recovering order, discipline and control. A proposal to improve the attention that the Central Government must give to local administrations was analyzed by the Council, which considered and approved the setting up of an auxiliary body under the Counil of Ministers, which attends to such local government offices and their performance. The meeting also considered a proposal to guarantee the necessary human resources and the maintenance of the infrastructure in the higher education system, which now counts on 67 institutions and 120 entities dedicated to technological projects. Raul Castro said called for the drawing up of a long-term plan of action to address the necessities in the sector. Such plan will help actions to mange the current human resources in a better rational manner. Council of Ministers' vice-president Marino Murillo said that based on the high demand of Cuban medical services and the advancement in the pharmaceutical sector, it is necessary to increase the exports of these services to guarantee sustainability of the health system and make a larger contribution to the economy. He added that several commercial modalities have been considered, including offering medical attention in Cuba, academic courses and others related to optical products, pharmaceuticals and natural medicine, as well as scientific events. Havana, Dec 18 (Prensa Latina) A statement of solidarity with the people and the Ecuadorian government "against the unjust aggression of Chevron" was approved here today by the deputies in the Committee on International Relations of the Cuban Parliament. The text accuses Chevron of causing the biggest ecological disaster in history and of damaging human health and the environment in the Ecuadorian Amazon. It claims that, with its outdated technology, Chevron has caused the spill of 71 million gallons of waste oil and 64 million liters of oil in that region for more than 30 years. It is an aggressive, highly polluting and harmful practice damaging people, who suffer various types of cancer, says a statement issued before the second session of the National Assembly of People's Power. He added that the Committee on International Relations of the legislative joins the statements issued by the Union of South American Nations, the 29th Annual Meeting of the Latin American Parliament, as well as other organizations and individuals in support of Ecuador. Havana, Dec 19 (Prensa Latina) A total of 444,109 Cubans work in the private sector, First Deputy Minister of Labour and Social Security Marta Elena Feitó reported here today. In a presentation to members of Parliament's Committee on Childhood, Youth and Equal Rights for Women, Feitó said that her employment data was from November. She said that the figure represents an increase of 44,763 workers over earlier this year and added that 26 percent of the total are women and 32 percent are youth. The provinces of Havana, Matanzas, Villa Clara, Camaguey, Holguin and Santiago de Cuba account for 65 percent of all private sector workers, she said. The most popular private sector activities are food production and sales, freight and passenger transportation, housing rentals, and the production and sale of household items, Feitó said. According to estimates from 2012, the country's active workforce totals 4,846,647 and the unemployment rate is 3.5 percent. Havana, Dec 19 (Prensa Latina) The conditions of price, inputs, supplies and market have made sugar cane into one of the most stimulated agricultural products in Cuba, experts told members of Parliament today. The first vice president of the Azcuba business group, Jose Carlos Santos, told the Agri-Food Industry Commission that sugar cane is an item with a very reliable market in the country, and that it has technological support that serves as an incentive for growers. Santos reiterated the importance of higher yields and growth for boosting investment in the sector. He noted that in 2012, some $46 million was invested in sugar cane production. He also highlighted the need to increase energy savings through a more efficient use of energy by sugar mills. At least 1.80 million tons of sugar is expected to be produced in the 2013-2014 harvest, which started on Nov. 20. That would represent an increase of 18 percent against the previous harvest, according to estimates. New equipment, greater transportation capacity, and training for personnel who are participating in the harvest were some of the improvements that should contribute to more efficiency, he said. HAVANA, Cuba, Dec 19 (acn) The rescue of urban order and discipline with the support of institutions and the population, was at the center of debates by Cuban deputies in their commissions currently gathered at Havana's Conventions Center prior to the Session of the Cuban Parliament on Friday. The lawmakers acknowledged the work of the Cuban Urban Planning Institute but noted that its officials must get training and continue to enforce current regulations. The deputies also called for a fight on illegalities in urban and rural areas and for an appropriate mechanism so that the people may carry out the legalization of new constructions according to the urban regulations. They said that the elimination of urban illegalities accumulated over the past years is still at a very slow pace, though some advancement has been made in beach areas. Some of the functions of the Urban Planning Institute include the construction of new homes, the leasing of land for construction projects, the issuance of construction licenses and certificates for finished works according to urban and construction norms. HAVANA, Cuba, Dec 19 (acn) Despite current material shortage, Cuba can advance the construction of homes, Cuban deputies agreed at the Parliamentary Commission on Industry, Construction and Energy. It is possible to find solutions to current housing problems, with better control by managing staff, government authorities and the Construction Ministry with regards to the use of local potential in each territory, some deputies pointed out. The lack of necessary resources and labor instability, among other factors have led to not meeting production plans, as pointed out by legislator Gerardo Hernandez Suarez who described as unacceptable the violation of contracts and investment projects. Hanoi, Dec 18 (Prensa Latina) The president of the Vietnam Friendship Association with Cuba, Nguyen Thi Kim Ngan, highlighted today the relationship between both peoples when the fourth congress of the entity was closed. Nguyen also evoked the leader of the Cuban Revolution, Fidel Castro, who described the ties established as "exemplary model of the relationship between two peoples in our time," after stating that all members of the Association are happy for contributing to that solidarity tradition. The also vice president of the Legislative National Assembly said that, as well as in the last five years, the exigency of the unconditional cease of the U.S. blockade on Cuba will remain one of the three main objectives of the Association. She stressed the support to the cause for the immediate release of four Cuban antiterrorist fighters unjustly condemned in the United States. Gerardo Hernandez, Ramon Labañino, Antonio Guerrero and Fernando Gonzalez have spent more than 15 years in U.S. prisons, for monitoring activities by terrorist groups that plan violent actions against their country. Rene Gonzalez, also condemned, is already in Cuba after completing his unjust prison sentence. The congress reviewed what the two sides have done in the last five years to strengthen mutual solidarity in many localities with wide participation of party and state institutions, grass-roots organizations, and elected its new executive. The president of the Union of Vietnamese Organizations, Vu Xuan Hong, and Cuban ambassador Herminio Lopez spoke in the final session. The latter expressed gratitude for the support given to his country, and referred to the prospects to strengthen bilateral ties in multiple spheres. Athens, Dec 18 (Prensa Latina) Dozens of European associations in solidarity with Cuba issued today a letter addressed to Greek Prime Minister Antonis Samaras, urging him to strengthen a fair contact and a respectful cooperation with Cuba. Samaras will assume on January 1 the six-monthly presidency of the Council of the European Union (EU), and for that reason, activists and social organizations along Europe wanted to convey their disagreement with the community policy towards Cuba. The message recalled that the denominated "Common Position of the EU on Cuba" is merely a vestige of the U.S. strategy during the Cold War, and violate the principles of international law, sovereignty of the Cuban people, and brings poverty to peoples. Senders stated that "being more and more the EU citizens who consider this common Position unacceptable," political representatives should act "of a fairer, more constructive way and were more led to the future of Cuba." Moreover, and taking into account the result "almost unanimous of the UN General Assembly against the U.S. blockade on Cuba, they said the time has come "when the EU as a whole passes from words to action." Based on this, the signers of the statement urged Samaras to "prepare and organize the immediate cancellation of the Counterproductive Common Position of the EU on Cuba," for being a policy contrary the international law, as is the right to rule a political system that the Cuban people itself elected in a sovereign manner. Buenos Aires, Dec 19 (Prensa Latina) More than 450 young Argentinian graduates in Cuba in 2012 and 2013 were honored in a ceremony at the Nation''s Congress, in which the concept that Homeland is humanity prevails. The spacious Blue Lounge of the legislative house was filled with the joy of about 445 physicians, eight professionals in physics and mathematics, and one engineer in biomedicine. They were from the eighth and ninth grade promotion graduates. Fathers, officials, legislators and diplomatic staff attended the emotive act, presided over by the flags of Argentina and Cuba. The call for unity in the struggle for the Great Homeland, the application of the humanistic ethics and the appreciation to the Cuban people for helping them to forge in worthy professionals, as well as a recognition to the Cuban people for their support and especially to Fidel Castro and Raul Castro. Daniel Lopez, representative of the Argentinian Ministry of Education, stated that the recognition of certificates granted by the Latin American School of Medicine is the slightest thing the Argentinian government can do, compared with everything Cuba has done. Camagüey, Cuba, Dec 19 (Prensa Latina) A Cantata for Peace and for the cause of the four anti-terrorist Cuban fighters unjustly held in U.S. prisons will be held on the night of Dec. 29 in this city, artist Yunielkis Naranjo announced. Naranjo, who is also a member of the national council of the young artists and writers' association, Hermanos Sainz, said that the release of the four members of the Cuban Five still in prison Gerardo Hernandez, Ramon Labanino, Antonio Guerrero and Fernando Gonzalez would be demanded during the event. The fifth member of the Cuban Five is Rene Gonzalez, who is in Cuba now after serving his 15-year prison sentence and giving up his U.S. citizenship. HAVANA, Cuba, Dec 17 (acn) Vietnam will help boost the output of Cuban crops of maize and soya beans through the introduction of new high yield varieties developed by Vietnamese scientists. An agreement signed by the two countries foresees the creation of demonstration areas in the Western Cuban provinces of Mayabeque and Matanzas. Doctor Nguyen Van Bo, Chairman of Vietnam´s Agricultural Sciences Academy, said at a meeting with Cuban producers and officials of the Ministry of Agriculture that the results of initial tests have been very encouraging. Cuba, he said, has ample possibilities to raise bumper crops of maize and soya beans, leading to the replacement of of imports of both commodities by domestically produced high yield crops. The Vietnamese expert also praised the efforts by Cuban agricultural producers towards the introduction of new varieties and techniques led by Vietnamese advisors. Nelson Lorenzo is one of the Cuban technicians that joined this productive effort . He said that with the introduction of the Vietnamese techniques, the production of maize has increased six-fold. Yields, he said, have skyrocketed from one ton to six tons per hectare. We pay emotional tribute to Nelson Mandela, the ultimate symbol of dignity and unwavering dedication to the revolutionary struggle for freedom and justice; a prophet of unity, peace and reconciliation. Alongside his comrades in the struggle, he led his people in the battle against apartheid, to open the way to a new South Africa; a non racial and united South Africa in its quest for happiness, equality and the wellbeing of all its children, a nation bent on overcoming the consequences of colonialism, slavery and racial segregation. Setting an example of integrity and perseverance, he later headed the effort to eradicate poverty, reduce inequality and create opportunities for all. Mandela offers an insurmountable example to Latin America and the Caribbean, which are currently moving towards unity and integration for the benefit of their peoples, on the basis of respect for diversity, and convinced that it is through dialogue and cooperation that discrepancies can be resolved and a civilized relationship established between those who think differently. As Mandela’s life teaches us, only the concerted efforts of all nations will empower Humanity to respond to the enormous challenges threatening its very existence. Cuba, a country born in the struggle for independence and for the abolition of slavery, and whose children have African blood running in their veins, has had the privilege of fighting and building alongside the African nations. 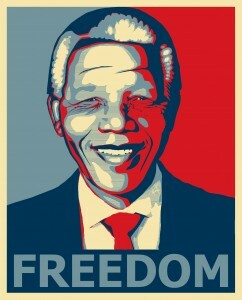 Eternal honour and glory to Nelson Mandela and to the heroic people of South Africa! Washington, Dec 7 (Prensa Latina) Ramón Labañino, one of the anti-terrorist Cuban fighters unfairly held in U.S. prisons for 15 years, expressed deep sorrow for the demise of South African ex-president Nelson Mandela, whom he described as a symbol of justice and optimism. "He was and will always be a real example of freedom, peace and victory," Labañino wrote in a message released this weekend by the National Committee to Free the Five in the United States. Labañino also sent condolences to Mandelaâ's family and friends and all of South Africa on behalf of his comrades and the entire Cuban people. "His world stature as a leader, a symbol of justice and optimism, accompany us forever," said the message. Labañino and his comrades Gerardo Hernandez, Antonio Guerrero, Fernando Gonzalez and Rene Gonzalez were arrested in the United States in 1998 and given unfairly harsh prison sentences for monitoring Miami-based terrorist groups operating against Cuba. They are internationally known as the Cuban Five. Rene is now in Cuba after serving his prison sentence and an additional period of supervised release and giving up his US citizenship. With his message, Labañino joins world leaders, international organizations, figures and social and political groups that lament the death of Mandela, who passed away yesterday at the age of 95 at his residence in Johannesburg. Havana, Dec 8 (Prensa Latina) Cuba is one of eight countries in Latin America and the Caribbean who managed to eradicate hunger, said here the FAO representative in Cuba, Theodor Friedrich. According to Granma newspaper of national circulation, Friedrich highlighted the support of the Cuban government and the political will to carry out programs to increase food production. In the region there are still around 47 million Latin American and Caribbean hungry, according to FAO. Haiti, Guatemala and Paraguay are among the countries that have higher numbers of hungry. The newspaper also reported that according to the Panorama of the Food and Nutrition Security of the United Nations Food and Agriculture Organization (FAO), the hunger in the region declined from 14.7 percent in 1990-1991 to 7.9 in 2011-2013. The same happens with chronic child malnutrition (stunting among children under 5 years). Currently the regional indicator stands at 6.9 million children affected when there were 13.8 million children affected in 1990. FAO also noted that these developments in the region respond to combination of economic growth, political commitment and decisive public action, supplemented by government policies aimed at changing the structures that generate exclusion and inequality. Havana, Dec 9 (Prensa Latina) Cybernauts of the world will express from today their solidarity with Cuba by highlighting the work of this country through messages in an international twitter account in the context of the celebration of the Human Rights Day. According to Cubadebate website, the initiative, with the hash tag # DDHHCuba and # DerechosdeCuba, will take place from 14:00 local time (19:00 GMT) on Monday until 12:00 (17:00 GMT) next Wednesday. ”In the social network Twitter will be felt the solidarity with Cuba, a country with an undeniable work for the basic human rights of its citizens, despite the U.S. blockade against Cuba which is maintained for more than half a century, Â¿ notes the publication. According to CubaDebate, participants will share solidarity messages, photos, videos and multimedia to reveal the work of the revolutionary process begun in this Caribbean country in January 1959. Cybernauts will also demand an end to the economic, commercial and financial blockade against the Caribbean nation, and the release of the Cuban antiterrorist fighters imprisoned in U.S. jails since 1998. Antonio Guerrero, Ramón Labañino, Fernando González, Gerardo Hernández and René González were arrested in Miami for monitoring groups that organized and financed terrorist actions against Cuba. From the internationally known as the Cuban Five, only Rene Gonzalez is on the island, after serving his sentence and renouncing the U.S. citizenship. CubaDebate reminds that the Caribbean country is one of the few who met the Millennium Development Goals agreed by the United Nations, including eradicating extreme poverty and hunger, achieving universal primary education and promoting gender equality. The Human Development Report 2013 of that world organization states that Cuba ranks 59 among 187 countries in this indicator. Iquique, Chile, Dec 8 (Prensa Latina) The 21st national meting of the Chilean movement of solidarity with Cuba concluded in this city today with the renewed commitment of those groups to promote and defend the achievements of the Cuban Revolution. In the final declaration, the organizations highlight the Cuban people's achievements in health and education, the same rights that today in Chile are of hard access by its population. The declaration says that the commitment with the Cuban Revolution includes the unmasking of the pro-government and pro-imperialist media campaigns in Chile, the same press that is being investigated for the crime of having incited the September 11, 1973 coup d'etat against President Salvador Allende. It is the press which permanently distorts and lie about the Revolution, said the declaration, calling to widely spread and promote the achievements of the Cuban Revolution in different sectors. The Chilean groups of solidarity with Cuba expressed their determination to continue supporting the international campaign to demand the release of the Cuban antiterrorist fighters condemned to severe sentences at U.S. prisons. One of the five Cuban anti terrorist fighters, Rene Gonzalez, already served his sentence in prison and retuned to Cuba, but Ramon Labañino, Fernando Gonzalez, Antonio Guerrero, and Gerardo Hernandez, remain in jail for infiltrating organizations that plan terrorist actions against Cuba from the U.S. territory. HAVANA, Cuba, Dec 7 (acn) Army General Raul Castro, First Secretary of the Central Committee of the Cuban Communist Party, received the General Secretary of the Communist Party of Spain, Jose Luis Centella, and the Federal Coordinator of Izquierda Unida, Cayo Lara, who are on a visit to the island at the invitation of the Cuban Communist Party. During the meeting, held on Saturday, exchanges were held on various topics of national and international interest, while participants coincided in their willingness to continue strengthening the relations of friendship and cooperation that exist between the Cuban Communist party and the Communist Party of Spain and Izquierda Unida. Also taking part in the meeting were Jose Manuel Mariscal, Senator and Secretary of the Communist Party of Spain in Andalusia, as well as Gloria Aguilar, Secretary for International Cooperation of the aforementioned Party. Cuba was also represented by Politburo member Bruno Rodriguez, Minister of Foreign Affairs; and Jose Ramon Balaguer, member of the Secretariat of the Central Committee of the Cuban Communist Party and head of its Department of International Relations. HAVANA, Cuba, Dec 7 (acn) Several generations of Cubans paid tribute on Saturday to General Antonio Maceo and his assistant Francisco (Panchito) Gomez Toro, who fell heroically in combat 117 years ago, at the mausoleum of El Cacahual, devoted to all martyrs of the homeland. At the place where the mortal remains of this patriot rest in this capital, members of the Revolutionary Armed Forces (FAR) and educational institutions, pioneer children, internationalists and combatants, swore to perpetuate the legacy of those who gave their lives for national sovereignty. The military ceremony was presided over by Politburo members Mercedes Lopez Acea, Vice-president of the Council of State and first secretary of the Cuban Communist Party in Havana; and the Hero of the Republic of Cuba, First Deputy Minister of the FAR and Chief of Staff, Army Corps General Alvaro Lopez Miera. Wreaths were placed by the tombs of Maceo and Panchito, heroes of the island’s 19th century pro-independence wars, and also of communist leader Blas Roca Calderio and the last mambi, Juan Fajardo Vega. Gayle McLaughlin, Mayor of the City of Richmond, California, visited the offices of the Cuban Institute of Friendship with the Peoples (ICAP), which was received by President Kenia Serrano and other directors of the institution. On this visit to Cuba, the mayor deepens aspects of the Cuban reality and favors ties between the two peoples. Also learn about the health care system to the population. Havana, Dec 9 (Prensa Latina) The Semester at Sea cruise ship, an academic program sponsored by the University of Virginia, in the United States, arrived in here today, nine years after its last visit. About 648 people arrived in the island, 568 of them are students from more than 200 universities in 42 states of the northern country, mostly Americans, but there are also students from other nations, such as Mexico and Canada. University of Havana rector Gustavo Cobreiro and a delegation from the higher education center boarded the ship after docking in the harbor to welcome the visitors. The objective of the stay here is that those students know this country's history and the scientific development reached, while exchange with Cuban students from different careers, Jose Manuel Febles, director of International Relations department at the university, told reporters. During the stay in Cuba, the Semester at Sea students will also visit many universities in different provinces, and announced a meeting with the media for tomorrow. VARADERO, Cuba, Dec 6 (acn) An inaugural charter flight of Novair Airlines, from Stockholm, arrived on Friday at the Juan Gualberto Gomez International Airport of this city, as a link in charge of the tour operator Apollo, one of the most important of the Scandinavian market. Attracted by the recreational activities offered by the famous beach resort located at some 120 kilometers east of Havana, a total of 265 passengers arrived on this occasion from Sweden, Finland and Norway, in an weekly operation that will last until the end of March, 2014. Sidsel Nottrup, destination manager of Apollo, the company that also promotes trips to Trinidad and Tobago, Mexico and the Dominican Republic, told ACN that for Scandinavian vacationers this is an opportunity to experience Cuban culture and history, in addition to nature. HAVANA, Cuba, Dec 9 (acn) President Raul Castro is heading the Cuban delegation that will attend the funeral services for Nelson Mandela, who passed away last Thursday in Johannesburg. The Cuban television announced on Sunday that the Cuban delegation is also made up of foreign minister Bruno Rodriguez and ambassador to Pretoria Carlos Fernandez de Cossio. Over 50 heads of state and other world leaders are expected to attend the funeral service, which will take place in Johannesburg on December 10 and five days later Mandela will be buried in his hometown Qunu. HAVANA, Cuba, Dec 9 (acn) Cuban President Raul Castro received in Havana on Saturday the President of the regional government of Galicia, Alberto Nuñez Feijoo, who is paying an official visit to the island. After the talks, Nuñez Feijo told reporters that he considers the update of the Cuban economic model as an opportunity which Galicia is willing to take advantage of. Making allusion to Galicians residing in Cuba, Feijoo said that there are 40 thousand reasons for Galicia to open to Cuba and that he has noticed that Cuba is also opened to Galicia. He said that he is very interested and willing to jointly work with Cubans in economic projects. Nuñez Feijoo met on Saturday with the Archbishop of Eastern Santiago de Cuba City and president of the local Episcopal Conference. The Galician government official previously met with Cuban First Vice-president Miguel Diaz-Canel and with the ministers of Foreign Relations Bruno Rodriguez and Foreign Trade and Investment, Rodrigo Malmierca. President Raul Castro also received a delegation headed by the leaders of Spain´s United Left Party, Cayo Lara Mora, and the Communist Party, Jose Luis Centella Gomez. HAVANA, Cuba, Dec 9 (acn) The Puerto Rican delegation to the World Festival of Youths and Students, underway in Ecuador issued a communiqué condemning imperialism. We will fight against the privatization, neo-liberalism, oppression and exploitation inherent to the capitalist system and we support participatory democracy and social justice, which are so necessary for the liberation of human beings,” the communiqué reads. The Puerto Rican delegation expresses its support of all nations currently fighting colonial rule, Palestine, the Saharawi people, the native people of the Americas and Argentine’s claim over the Malvinas islands. “We condemn all US acts of aggression and espionage carried out from our own territory against sister nations, particularly Latin American countries,” the delegation stresses. The delegation of youths also demand the release of Puerto Rican political prisoners Oscar Lopez Rivera and Norberto Gonzalez Claudio and of the four Cuban antiterrorist fighters also held in US prisons. They also request compensation by the US navy for its criminal acts in the island of Vieques and the main island of Puerto Rico and demanded the respect for social rights of human beings. And the communiqué also expresses gratefulness to Cuba, Venezuela, Nicaragua, Latin American and World nations for their support of the decolonization and independence claim of Puerto Rico. The communiqué was signed by the Pro-Independence University Federation, the Socialist Front, the Hostosiana Youths and the National Independence Hostosiano Movement, the Socialist Youths Union and the Socialist Workers’ Movement. HAVANA, Cuba, Dec 9 (acn) The Cuban Interests Section in Washington announced the reestablishment of consular services till February 17. According to an announcement published on Granma newspaper, on December 6, the M and T Bank informed the Interests Section of its decision to extend till March 1, 2014 the deadline of the definitive closing of the banking account of the Cuban office, explaining that the deposits for consular services will still be received until February 17, 2014. The Cuban Interests Section continues to look for a new bank that takes its banking operations to definitively normalize its consular services. The office regrets any inconveniences brougth about by the suspension of consular services on November 26, 2013 either for Cuban or US citizens, the announcement reads.